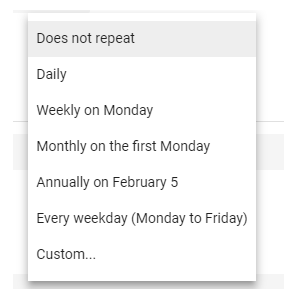 How do I create appointment slots in a Google Calendar? 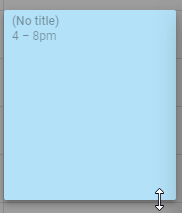 The appointment slots feature allows you to create time slots in your calendar. Other people are then able to book these time slots. As a professor, this function allows ease of creating & reserving time during office hours. 1. Login to your UNI email account, which is automatically linked with Google. Go to any Google page. In the top-right corner of the screen, click the grid icon, then click Calendar. 4. In the options box, add an appropriate title. 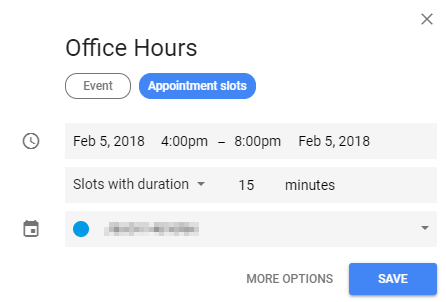 Click the box that says Appointment slots. Make sure the time parameters are correct. Change the time allotted for each time slot if desired. Click Save. 1. Click on the event you created and click on the pencil icon. 2. 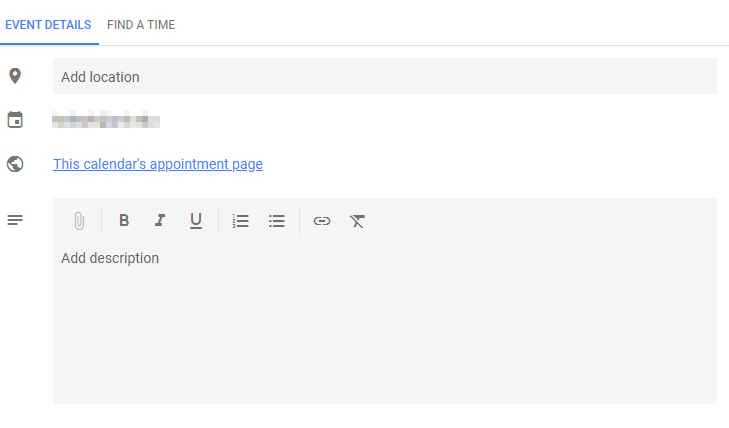 To make the appointment slot repeat, click on the dropdown box (default value Does not repeat). 3. Add more information about the location & description of the time slot under “Event Details”. 4. If someone else will be present at the appointment, you can add them as guests. 1. Click on the time slot, then click on the pencil button. 2. 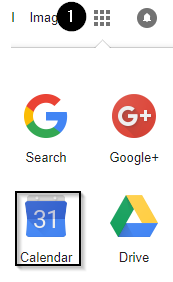 Under “Event Details”, look for a blue link titled “This calendar's appointment page”. Right click the link, and select Copy link address. 2. Navigate to your course. 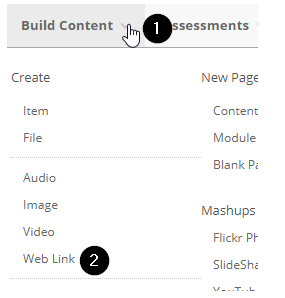 Find the desired location of posting, then hover your mouse cursor over “Build Content”. Select Web Link. 3. Enter a name, such as “Open Office Hours”, then paste the appointment link in the URL field (CTRL + V). Finally, click Submit. 4. The link will now appear in your course. When students click on this link, they will be able to book an appointment slot within your scheduled hours.